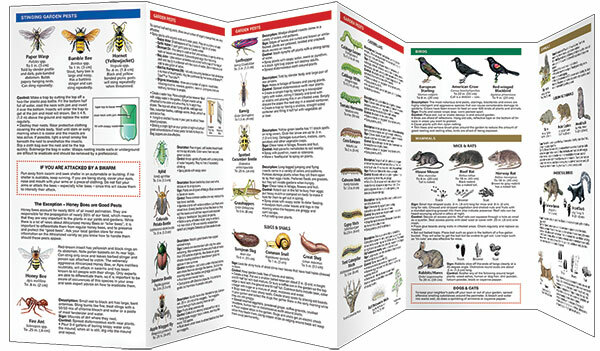 Earwigs, silverfish and blood-sucking bedbugs are just a few of the species this guide will help you to identify and control in your home and garden. This beautifully illustrated guide highlights over 75 species of wood chewers, blood suckers, garden wreckers and food pests ranging from cockroaches and slugs to your neighbor’s pets. 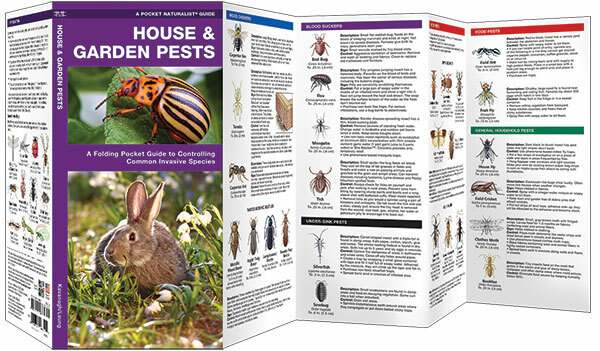 Also includes information on good bugs that feed on household pests. This practical guide is a perfect source of portable information and ideal for use by any gardener or homeowner. Laminated for durability, this handy guide is an ideal source of portable information and ideal for use by novices and experts alike. Made in the USA.